Roadway Information Management Solution is used to enable transportation agencies to more clearly, efficiently and cost-effectively manage and protect their roadway infrastructure. With roadway Information management solutions, transportation operators can streamline operations, maintain compliance with federal regulations and improve safety and driving conditions for motorists by quickly addressing potential issues through faster, more informed decision making. 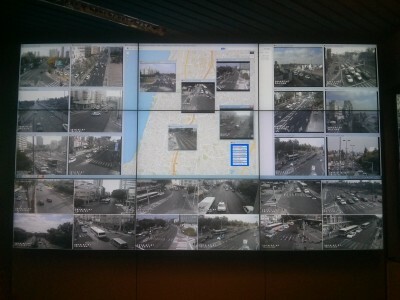 Traffic monitoring solution enables operators to access live and recorded video information, ensure efficient transit, collision detection , traffic direction and perform license plate identification while using geographic information system (GIS). It allows transportation agencies to track and monitor the location, condition and other important information about roadway assets including bridges, pavement, guardrails, signals and more. From there, asset data is combined with traffic statistics, crash data, maintenance costs and other vital details, empowering agencies to make key decisions about factors such as work priorities and budget allocations. 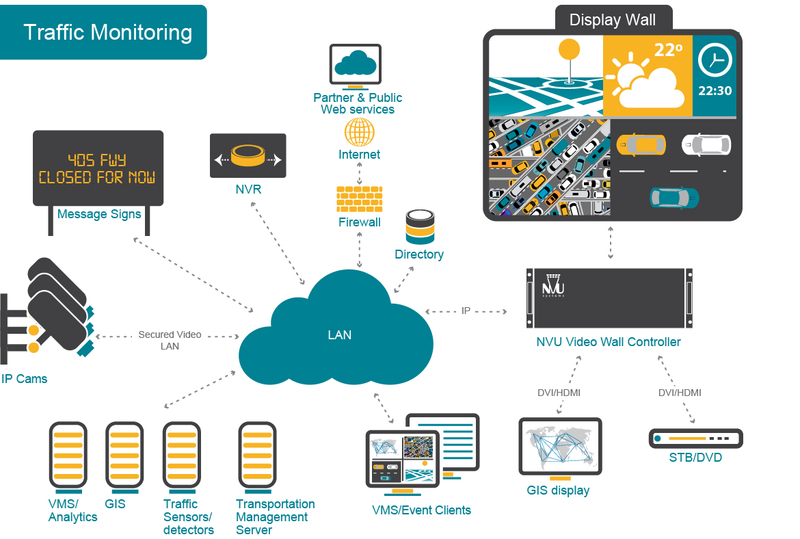 Through NVU’s Video Wall controllers, live Roadway Information can be displayed as overlay layer on detailed highway maps. Additional critical roadway information and alarm indications can be displayed in real time. For example, wall layouts can be automatically changed to reflect collision event on a map with all relevant cameras streaming live video. Especially today, when maintaining critical transportation infrastructure is a top concern, high performance, highly reliable video wall solution is critical for fast event analysis and reaction and keeping the roads in great condition, traffic flowing smoothly and people safe.